Located in the heart of Europe, Luxembourg is well connected to the continent’s commercial capitals, with London just an hour away by plane and Paris easily reachable by train. Destinations within Luxembourg itself are also highly accessible, keeping any necessary transfers brief and alleviating the stresses of an arduous business trip. Managed by Luxembourg Congrès, the European Convention Centre Luxembourg (ECCL) is without a doubt one of the most elegant congress centres in Europe. 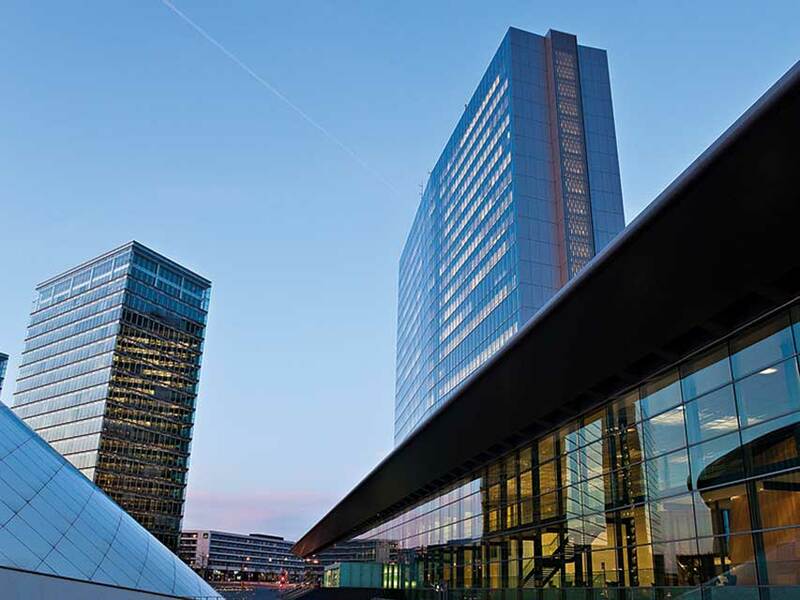 Ideally situated on the Kirchberg Plateau in Luxembourg City, the convention centre is located just seven kilometres from the international airport and sits within short reach of the city’s financial district, tourist attractions, hotels and European institutions. The city centre is also host to an array of bustling bars, restaurants and stylish boutiques, providing business travellers with a welcome relief from a hard day’s work. Thus, the ECCL is the perfect venue to accommodate even the most elaborate events: from conferences, seminars and exhibitions, to shows, receptions, walking dinners and general assemblies. With a comprehensive range of technical, technological and security installations already in place for the Council of the European Union – which calls the site home for three months of the year – the ECCL is well equipped to deal with the needs of every client. Offering two magnificent plenary rooms (with capacities of 800 and 150 guests), 30 workshop rooms and a further eight meeting rooms, the ECCL can accommodate a party of almost any size. Away from the boardroom, the ECCL also offers three elegant and light-flooded foyers – ranging from 350 to 2,600sq m – and a number of thoughtfully designed bars, making it the ideal venue for gala dinners, exhibitions and casual meetings. Having hosted the first European Parliament, the ECCL’s Hemicycle has a unique history, and its amphitheatre combines retro charm with a comprehensive technological offering. Fitted with a screen, projector, table microphones, translation booths and Wi-Fi, the Hemicycle has a fixed capacity of 646 guests, while its foyer offers a delightful place to relax between meetings, conferences or seminars. Further, with an outstanding panoramic view of the city’s historic fortifications, the Hemicycle Bar benefits from elegant, traditional décor, and boasts enough space to accommodate banquets of up to 400 people, or cocktail receptions of more than 700. In the summer months – as well as for several weeks during the winter – congress organisers can profit from a special package of privileges, including exceptional room rental conditions and VIP access to the ECCL’s hotel and catering partners. These additional benefits build on the ECCL’s substantial year-round offering, which includes free Wi-Fi, use of the business centre, a part of the reception desk and much more.